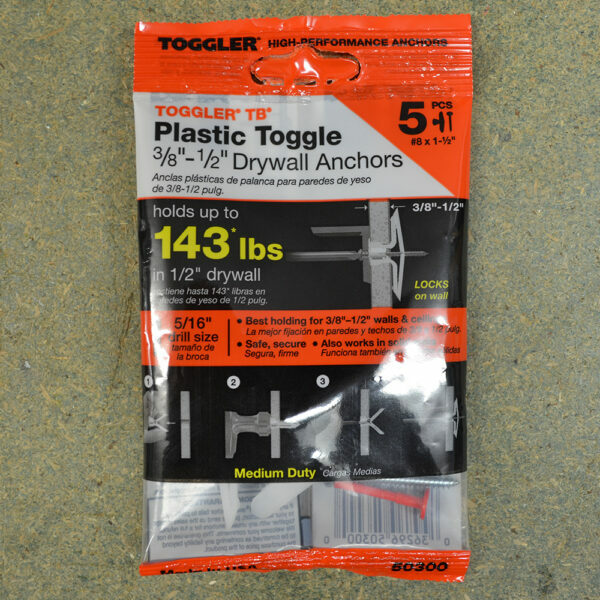 These Toggler fixings are designed to hold up to 143*lbs in 1/2″ drywall It is suitable for use with drywall thickness’s of 3/8″ – 1/2″. 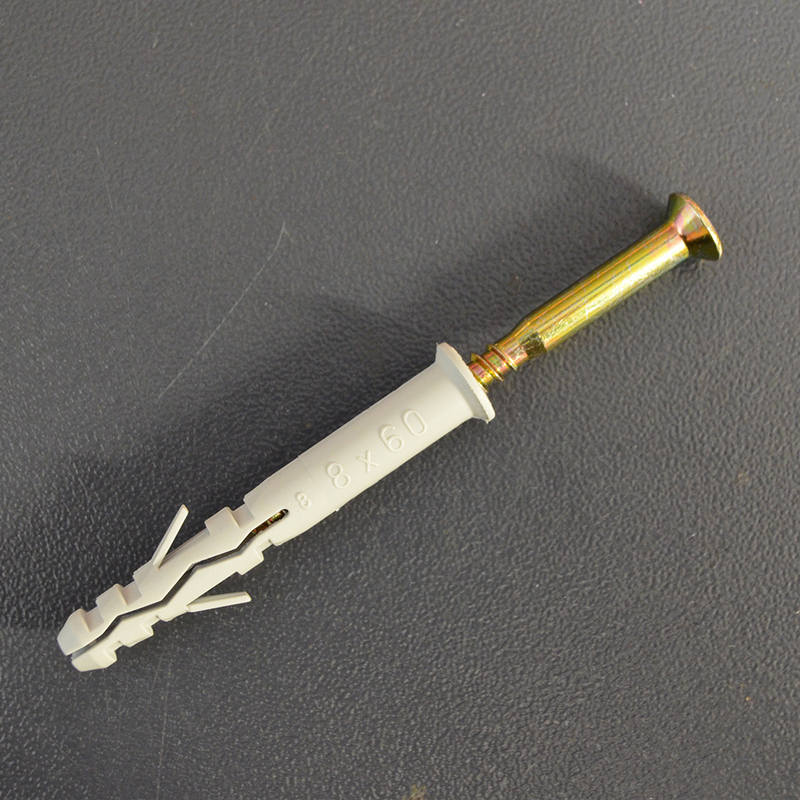 It can also be used in solid materials. 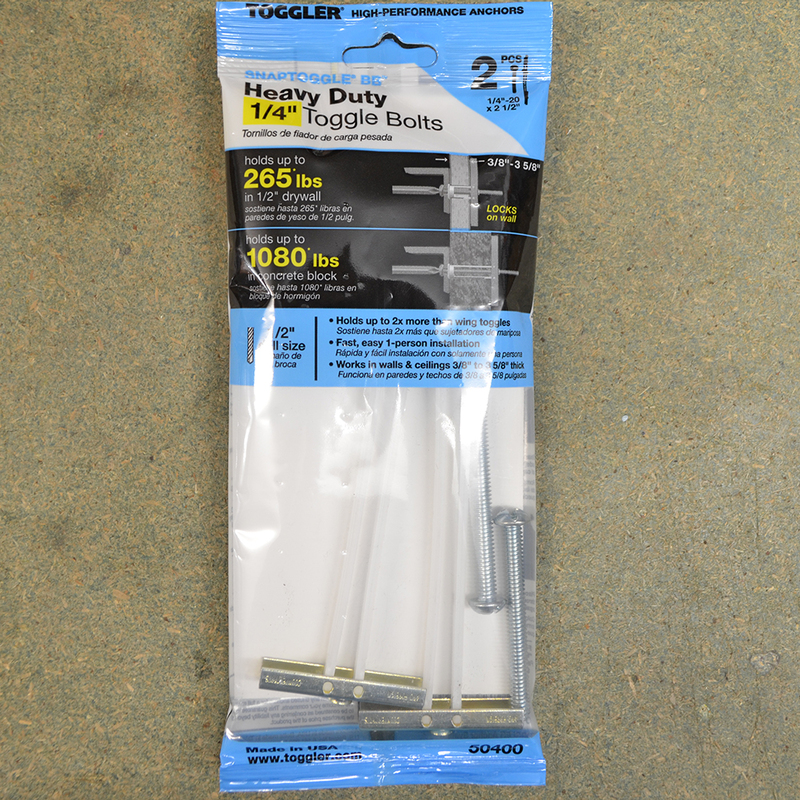 5/16″ drill is required as a pilot. 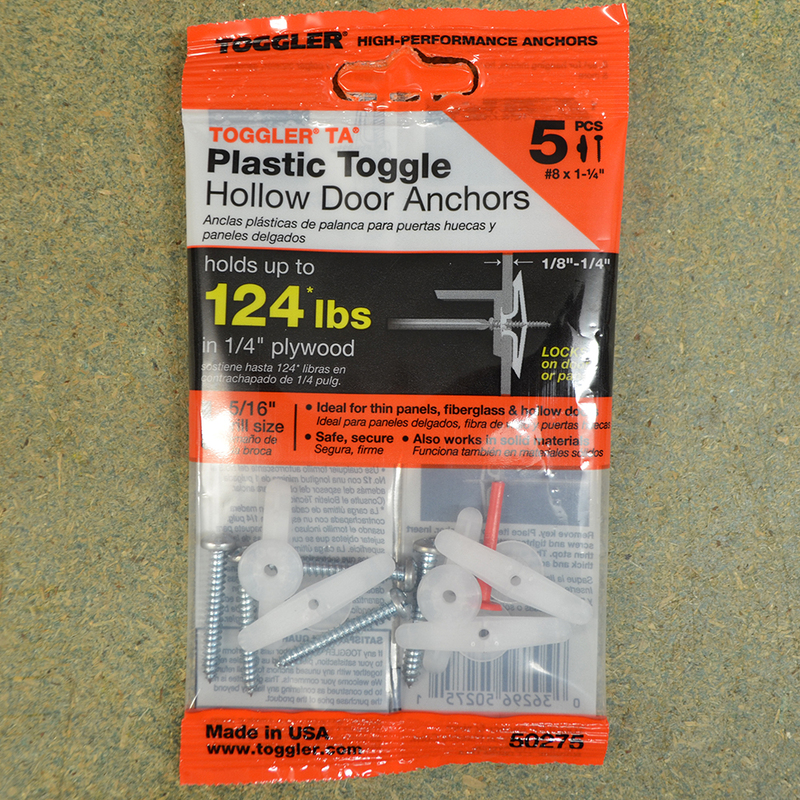 Kit includes: 5 anchors, 5 screws and a opening key for the anchors.